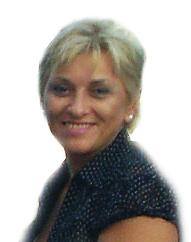 My name is Joana Pura-Micallef and, besides being an instructor, I am also the owner of the motoring school. I have taught hundreds of succesfull students in Malta including local schools, Colleges and the University. I’ve been doing this job for a while now, with love, joy and responsibility. I have taught hundreds of successful students, different types and age groups, from beginners to advanced. I’m have a good passing rate and I am proud to say that I helped my students to become good drivers that overpassed all doubts and fears. My car is low emission, air conditioned and dual controls installed for your comfort and safety. The driving lessons are tailored to suit each and everyone’s individual requirements. With experience and love, with good and rich explanations I will guide you through all the learning stages until the day of your test arrives, making sure you will have the necessary skills and knowledge to successfully pass your driving test.